I don't like Derby days. There I've said it. In fact I've said it before. Here's a link back to a piece I wrote 7 years ago. My view hasn't changed since and I doubt it ever will. But this Derby Day is different. Well, maybe not that much different to the home fixture against Wednesday last season, but different from the norm that we have become accustomed to in my lifetime. We are no longer the underdog and, to be frank, I don't like it. It's been rare in my lifetime that United have been favourites going into a Derby match. Even last season, when we were above Wednesday going into the fixture at Hillsborough, we were still dismissed as cannon fodder by the S6 support. "The bubble will burst", they told us. "You are not good enough", they told us. "We are older, bigger, better", not that it helps much on the pitch. They underestimated the Dog & Duck, both in terms of quality of football and the unity of the team. Whatever they might say about 4-2 not being a massacre, the home side in a Derby fixture had not conceded 4 goals for the best part of a century. 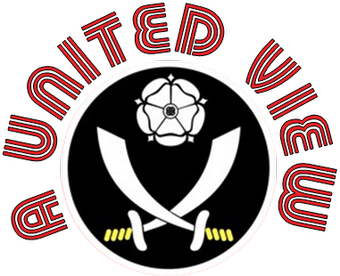 You would need to go back to the Wartime League in 1917 and 1918 when the Blades conceded 4 and 5 at home to Wednesday. Suddenly, the claims were about missing players, injuries, ignoring the fact that just one of their team cost as much as our entire eleven. However much they doth protest, it hurt.......a lot. So much so that come the return fixture at Bramall Lane a 0-0 draw was celebrated like a cup final triumph in the away end. They told us how disappointed we should feel, yet for me not losing in a Derby is a victory in itself. We ended the season having taken four points off Wednesday, who wouldn't be delighted with that? And if the boot were on the other foot, I doubt you would find many Wednesdayites who would disagree. Fourteen months on from that game at Hillsborough, the stakes are the same but the feeling is so different. A quick look at the Roy's Views website, which picks off the highlights and opinions posted on the opposition's internet forums, show us a very different mood across town. One where the psychological games how much greater. A snapshot of their views are below. "If they don’t win by at 5 clear goals they’ll be bitterly disappointed." "Win – win for us. They should win handsomely. Anything less would be a disappointment for them." Whilst the facts are 3rd versus 17th, an opposition that have shipped 12 goals in 3 games and a fan base that is demanding the manager's removal and the reinstatement of key players. The facts also show a Blades side that I've taken 4 points from the last 12 and despite plenty of good football and strong possession stats, don't always make it count. It is a cliche, but it has so often been the case; the form book does go out of the window. Just look at the two matches last season. 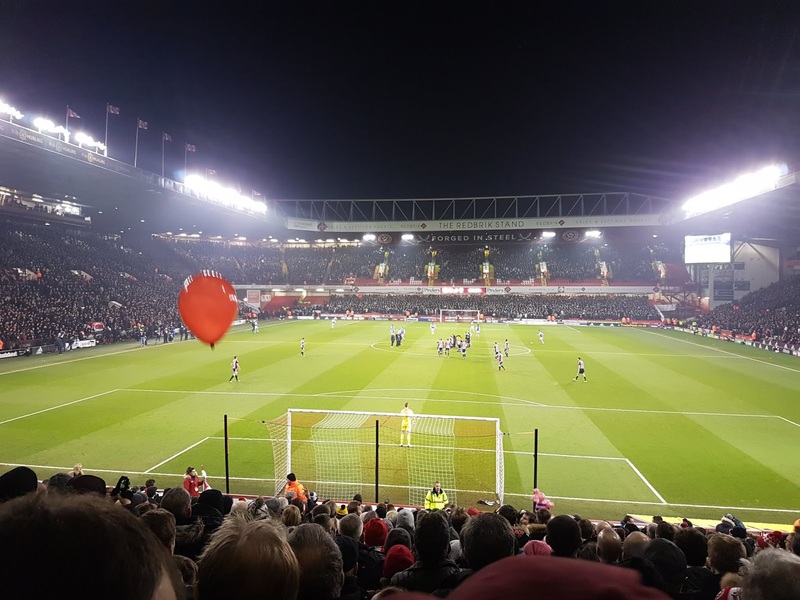 Wednesday were expected to win at Hillsborough and we were expected to win at Bramall Lane. Neither happened. Going back to 1991-92, we had won two top flight games Wednesday were firm favourites when they visited the Lane and remained so when United visited Hillsborough. It meant nothing in either game. "If we don't win this by at least three it will be one of the most disappointing results in our recent history. Opportunities like this don't come along very often. We are playing decent stuff they are in disarray"
On first read I winced. I didn't like it. I could never be that bolshy about our chances. How can you be disappointed by a win? When challenged in a subsequent tweet, Darren admitted he could have chosen a better word than disappointed and I think that is right, but the more I thought about it, the more I understood the point he was trying to make. We are playing a team that will sit deep and try and contain, as they did at the Lane back in January. For them, it will be all about defend and hit us on the break. That night we failed to find that incisive move to deliver a goal. Find that on Friday (and relatively early in the game) and they have to come out. Weaknesses exposed, we could really go for the jugular and a result that puts to bed the day after Christmas thirty nine years ago. It could happen, but then again plenty of things could happen. I am just not going there expecting it. I doubt any Blades would make such rash predictions. A one goal win, with the ball rebounding of Billy's backside will do me fine I would even take a point and we move on to a less intense, but probably more testing game away at Rotherham. If you want me between 7:30 and 9:45 on Friday night, you will find me hunched in my seat in the middle of the Kop. Muscles wound tighter than a watch spring. Tenser than Joey Essex entered in a Spelling Bee. Twitching like the Pitsmoor Owl whenever a blue light passes his living room window. I can't say I will enjoy it, you would need balls of steel to sit/stand there and enjoy it all. Actually.....you know there is one scenario that would enable me to properly enjoy it, well some of it, at least whatever time is left after the fourth goes in. 18-1 with SkyBet, just saying. Do we really count those wartime years? The Wednesday will because it makes them look as thought they are on a par with the Blades in wins. However, it should be just competitive games and by that mark the Blades are 4 wins ahead of the Owls. We not going to begin to add up County Cup matches as well are we? Mayurmarbles provides imported marble and granite wholesale suppliers and dealers in Chennai at affordable price. Choose wide range of imported marble & granite from our showroom. The Wednesday will because it makes them look as thought they are on a par with the Blades in wins.